We work with clients to 'build their own' client facing interface, instead of using off the shelf technology. This can include your own branding, colour scheme, preferred risk profiling process, CRM systems and underlying administration platform. 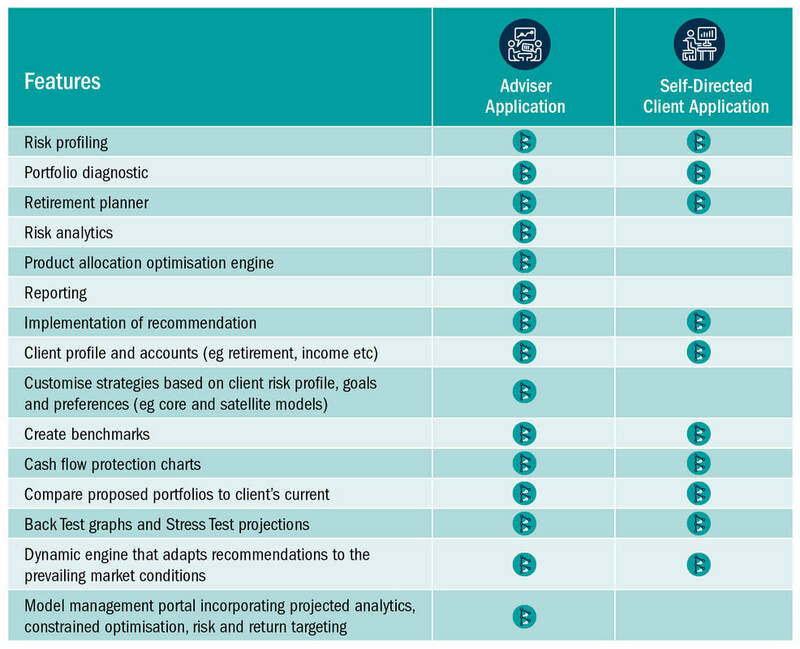 Utilise our adaptive advice engine to create goal based, dynamic investment strategies and construct robust portfolios that increase the likelihood of meeting your client’s objectives. Alternatively, follow third party models or build your own from scratch – we have the tools to facilitate both. Use our range of graphs and projections to help a client understand a recommendation and how it compares to their current portfolio. These include forward looking Stress Tests and Back Tests, as well as projections which can all be manipulated on screen. ​Our applications are designed to increase client engagement, reduce compliance risk and help you work more efficiently, decreasing time spent on back office tasks. Work smarter not harder. Our systems integrate with your existing technology ecosystem (including CRM and administration software) to deliver a streamlined portfolio management and advice process.